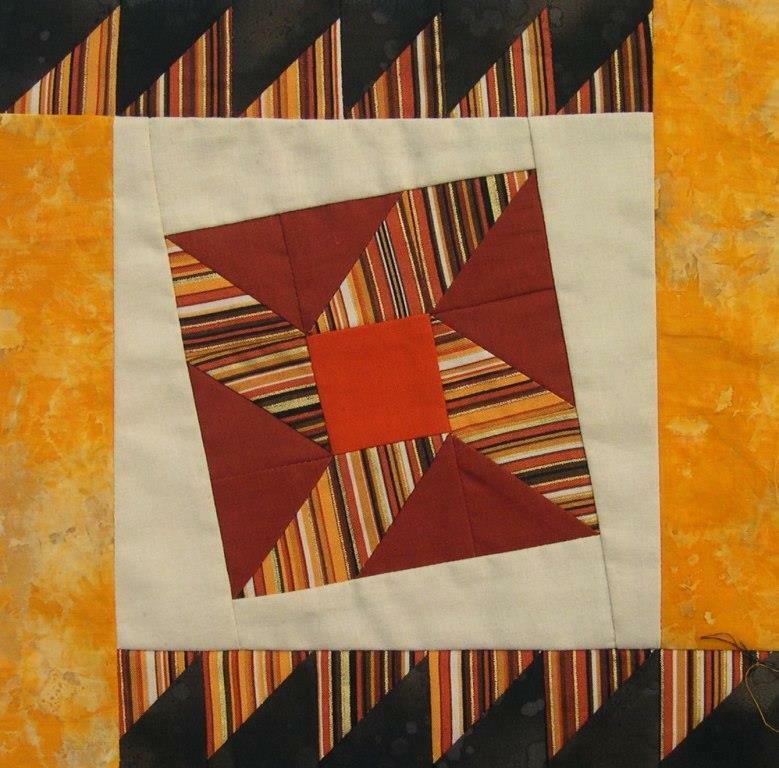 “Half-square triangles” are a standard small unit which occurs frequently in patchwork. 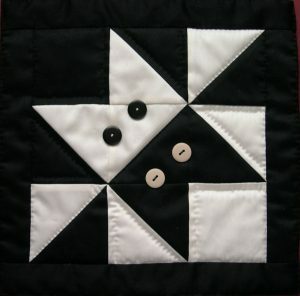 Instead of cutting out two triangles, it is quicker and more accurate to make two at a time from squares, using a “quick-piecing” technique. Look at the video below to see how this is done. 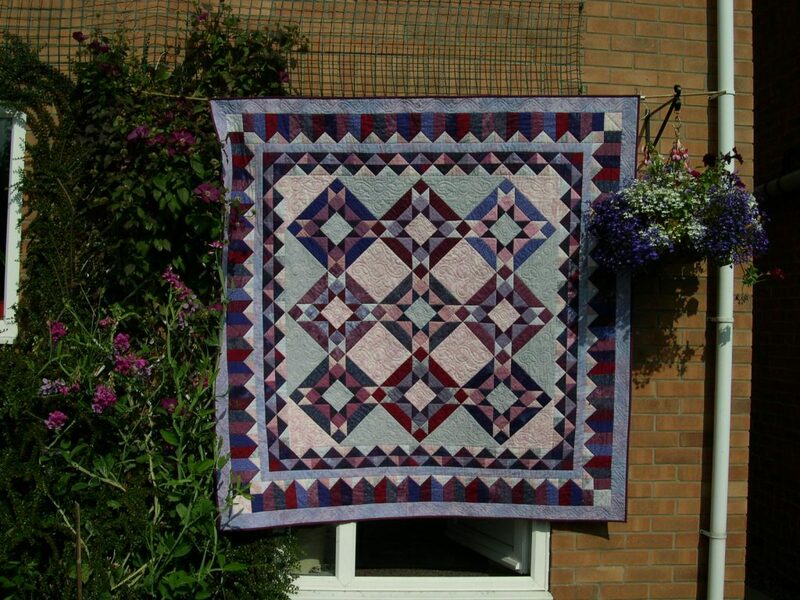 There are plenty of projects which include half-square triangles. 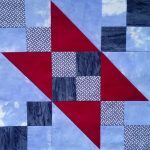 It is easy to calculate the size of squares that you need to cut. Simply add 7/8″ to the finished size required. This works with all sizes! e.g. 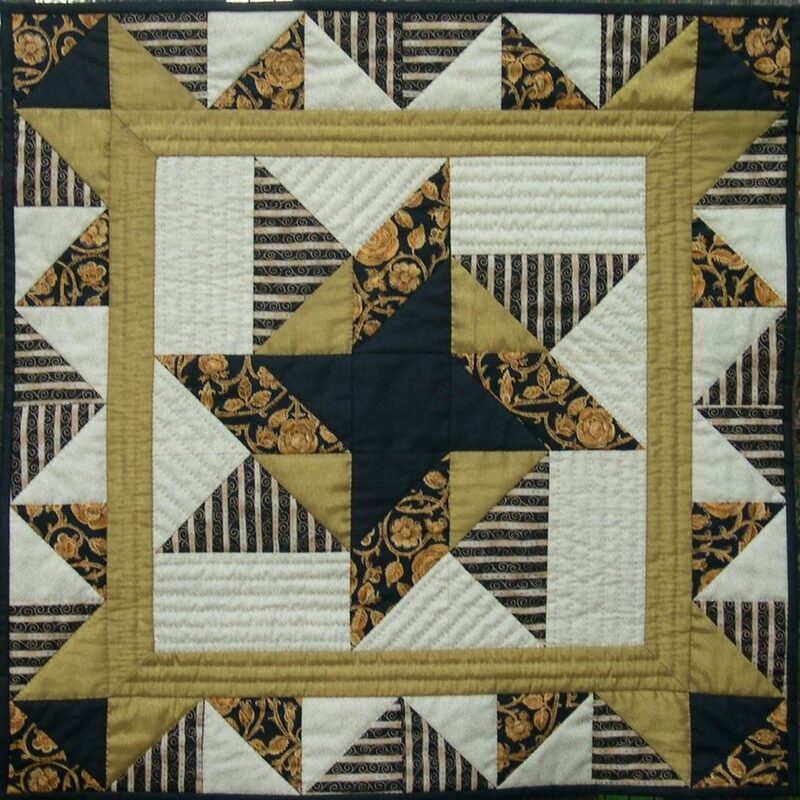 to make two half square triangles that will make a four inch unit when stitched into a block, cut a square of each colour which measures 4 7/8″, and quick-piece as shown in the video. 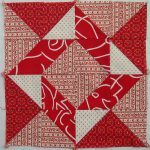 If you would like to try making a small project which includes a pieced border, the download pattern for the Catherine Wheel project shown here is available in my Shop for £8. 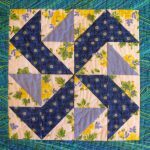 Full instructions for making the pieced border fit perfectly are included. 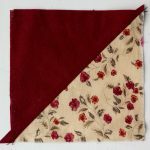 Choose a project from my Shop – all patterns can be downloaded at a cost of £8, and include plenty of details to help you get really good results.